Never get caught with your battery flat again with this invaluable piece of equipment. 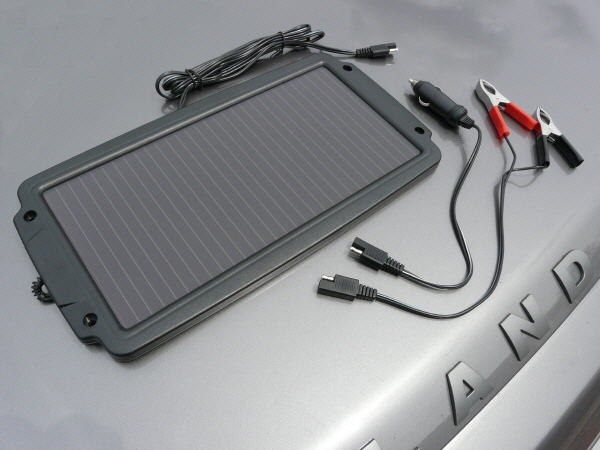 Keep your battery 'topped up' at all times with our Solar Battery Charger. Ideal for cars, boats, caravans and motorcycles. When using the cigarette lighter connection there must be a live feed to the cigarette lighter socket in your vehicle when the engine is switched off for the Solar Battery Optimiser to work. If this is not the case you will need to use the crocodile clip connectors instead.